Located in one of İstanbul’s oldest districts, Beyoğlu, İstiklal Avenue has a quite long history. The street here started to be shaped during the Byzantine times and it has been one of İstanbul’s most important shopping destinations since the 19th century. Located in one of Istanbul’s oldest districts, Beyoğlu, Istiklal Avenue has a quite long history. 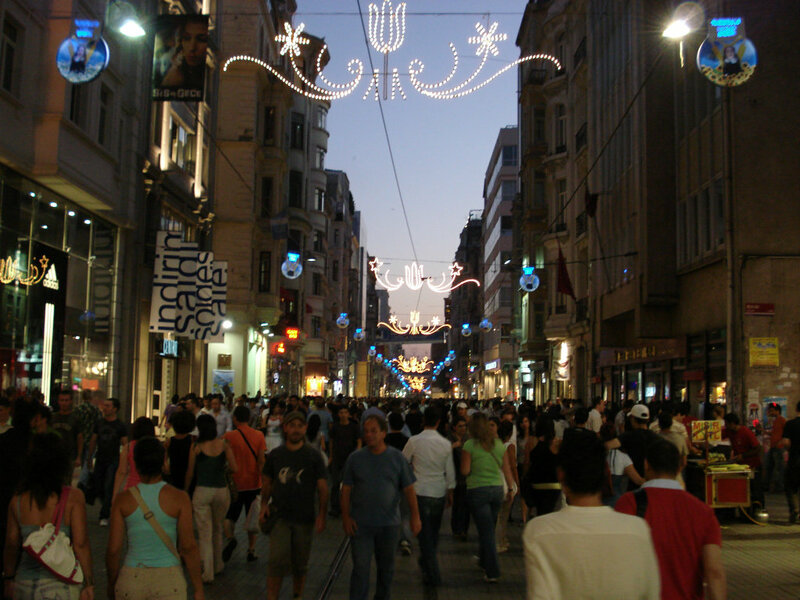 The street started to be shaped during the Byzantine times and became one of Istanbul’s most important shopping destinations since the 19th century. The avenue used to be called “Cadde-i Kebir” (Grand Avenue) and hosted many ethnic communities of the Ottoman Empire. It was both the most popular shopping destination for foreigners as well as the heart of entertainment of Istanbul. This colourful atmosphere was carried on to the Republican Turkey of today and is the first destination for every tourist visiting İstanbul. 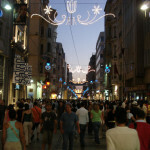 Istiklal Avenue is always crowded and keeps its liveliness around the clock. It is home to international brands as well as for the passages Atlas, Aznavur, Hacopulo and Halep, where you can find everything from clothing to souvenir shops. The avenue is 1400 meters long and it offers numerous alternatives for those who visit the area at night with its countless pubs, restaurants and bars. The avenue is totally pedestrianized and one of the best sights on it is the Nostalgic Tram, the symbol of the district. 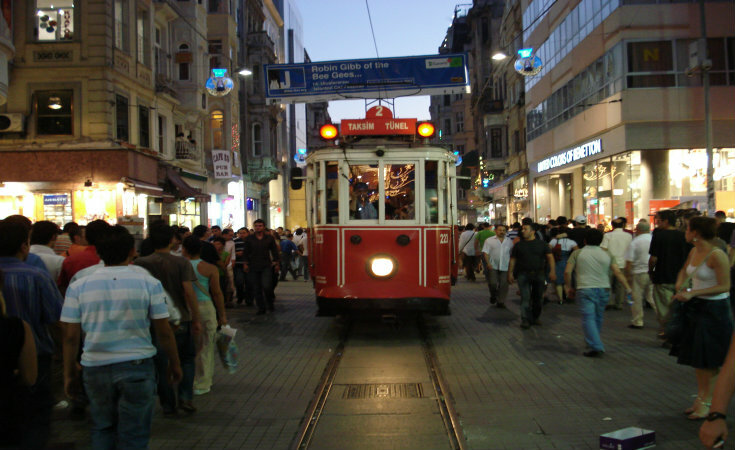 When the avenue was pedestrianized at the end of the 1990s, the tram network was reinstalled and it has been serving Taksim Square to Tünel since then.